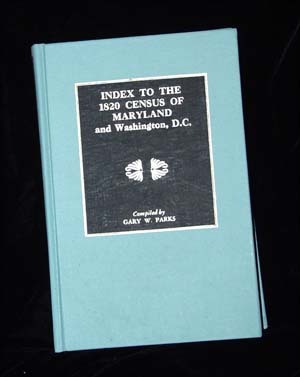 From the Genealogical.com website: This is an index to the 1820 census of Maryland and the District Columbia, in effect a complete register of 61,000 heads of household living in Maryland and Washington, D.C. at the time of the fourth census of the United States. The index is simplicity itself, with heads of households listed in alphabetical order, followed by a citation to the page number of the microfilm on which the original enumeration is found and a reference to the county of residence. For convenience, the names of Maryland and Washington heads of household are merged into a single alphabet, enabling the researcher to identify an individual while at the same time observing references to family members living in adjoining areas. There is no more reliable genealogical tool than the federal census, and there is no more reliable index to any federal census than the one offered here.